Permeable - so no more puddles! 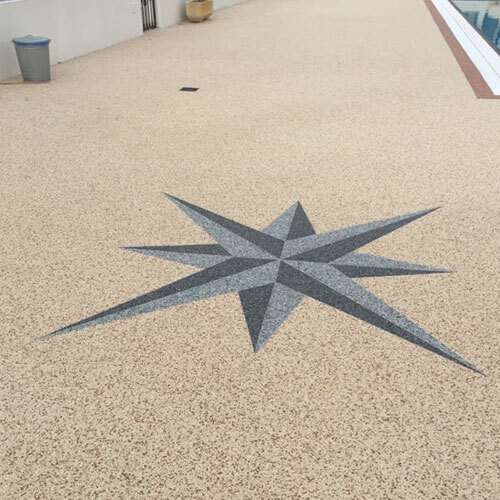 All of our Resin bound products are of the highest quality and easy to apply. 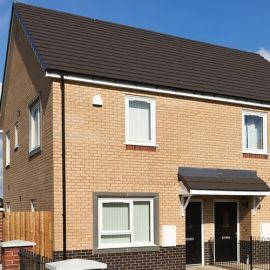 Choose from our wide range of different colours and we will deliver direct to your door with complete instructions on how to install the product without the need for a contractor. This multi purpose Resin Bound Surfacing System can be used for both indoor and outdoor environments. 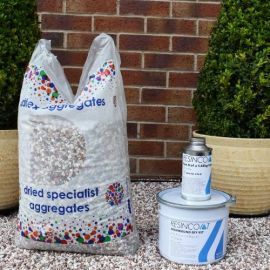 Resin Bound Surface Kit is designed to give you the best finish for your outdoor surface with no need for hiring contractors, builders or calling in help at all. Each kit is capable of covering 5.25m² at 12mm thickness. 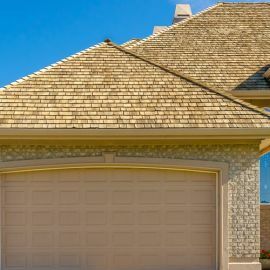 12mm thickness is recommended for walking, 15mm for a driveway and 18mm for high vehicle use. For a more personal touch why not try our Resin Bound Design Kit? Currently available in a 3D star pattern, but the possibilities are endless! View the product here. 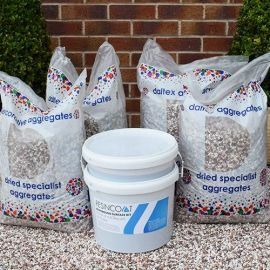 For an additional £475 you can get everything you need to personalise your new resin bound surface including our aluminium installation kit, two part epoxy application gun and more. Contact our sales team today on 0113 827 2387 for more information on Resin Bound Design Kits. 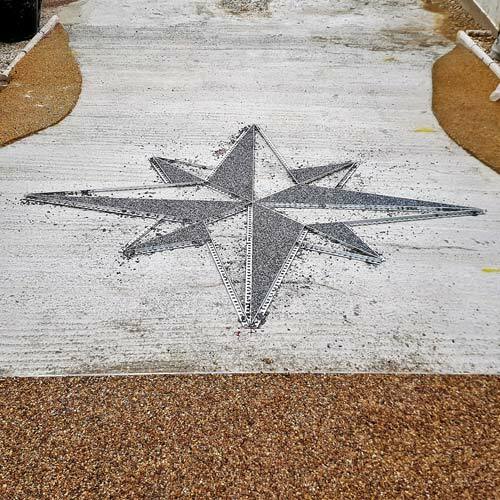 Design size is approx 2m x 2m, additional resin and aggregate supplied as part of kit. 1 - Flatten your starting surface. If turf, dig out the grass and soil. If tarmac, Resin Bound Surface Kit can be applied directly on top. 2 - Lay a fine layer of sand to achieve a level surface, then lay X-Grid on top and fill with dry aggregate. 3 - Finally, mix the Part A and Part B together with the aggregate to create the mixture. Lay the mixture over the X-Grid using a pin rake and trowel. Your Resinbound Surface Kit is supplied with full and detailed preparation and application instructions and our expert staff are always a call away to answer any questions you may have along the way. To effectively mix part A and part B we recommend use of a large pan forced action mixer. You can buy these directly from us or hire from one of our associated hire companies across the UK. Very pleased with this kit, ended up doing my driveway for cheaper than I had been quoted elsewhere. 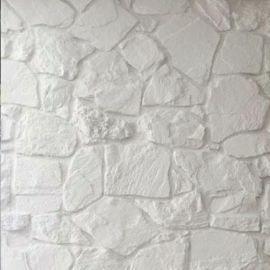 I would recommend not doing this job alone but with help it is not too hard and it looks great in the end. Great DIY kit, one of the best prices i've seen for a resin driveway. If i'm honest I was a little hesitant about the quality for the price but it has done a great job of our drive. I hired a mixer from HSS and got the job done over a long weekend. I have a bit of experience with this type of thing anyway but I would say it's fairly easy to do if mixed properly. A good underlay/starting surface is the key. 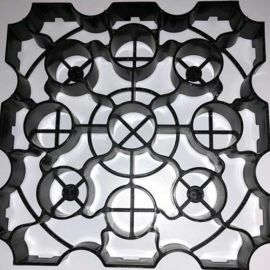 We have been trying to source this type of thing for our drive for a long time and couldn't get the right price. Resincoat have been a great help and our drive now looks incredible! Thanks so much.